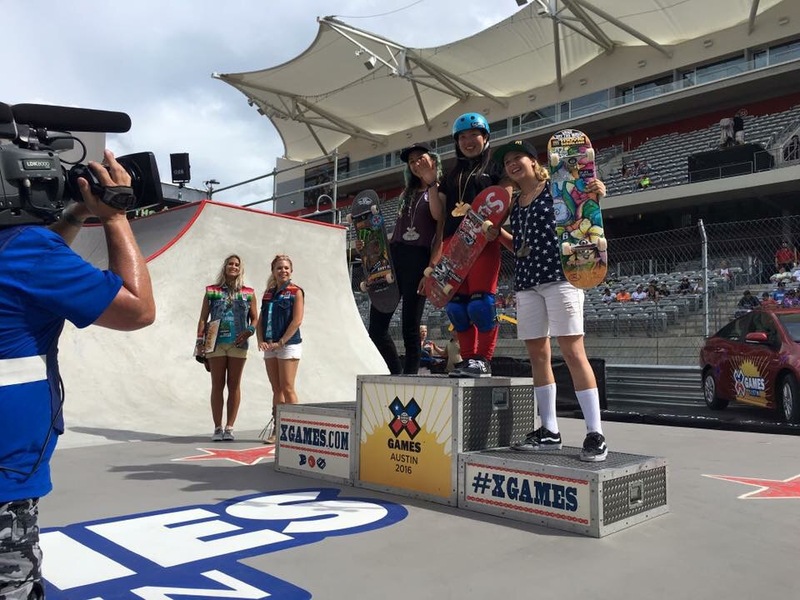 Texas saw some of the worlds finest skateboarders compete this weekend in Austin for the X Games. Amongst the women competing for the 2016 titles, Japanese skater Kisa Nakuruma came away with Gold whilst Lizzie Armanto took Silver and Jordyn Barratt Bronze. You can also watch some of the footage from Lizzie’s Facebook stream from yesterday below – Have a watch!